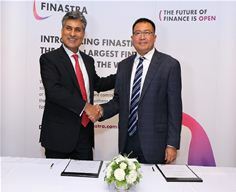 Myanmar, December 18 2018 – Kanbawza (KBZ) Bank, Myanmar’s largest privately-owned bank, has selected Finastra and its treasury management solution, Fusion Treasury, to enable straight-through-processing (STP). The partnership supports KBZ Bank’s move away from manual treasury processing operations as part of its strategy to ensure faster, more efficient services. The solution will not only help the bank grow both transaction volumes and revenue, but reduce operational risk, as well as scale more effectively while maintaining current levels of manpower across all its treasury business operations. Fusion Treasury is a single, integrated, front-to-back solution, built to cover all aspects of a bank’s operations in treasury, capital markets, derivatives, and risk and compliance. The solution enables financial institutions to integrate and automate systems and streamline treasury operations. Built with flexible architecture, Fusion Treasury will accelerate KBZ Bank’s ability to expand and scale its business for future transactions and processing needs, add asset classes and offer new products and services more efficiently and effectively. Big Byte International, a key regional partner of Finastra, was instrumental in securing the partnership with KBZ Bank which saw Finastra chosen over other treasury management solution vendors for its modern, componentized technology and expertise in the region. Finastra has a proven track record in Myanmar having supported other financial institutions like Yoma Bank, AYA Bank and First Private Bank embark on their local digital transformation journeys. KBZ Bank, established in 1994, is the largest privately owned bank in Myanmar and the first to have expanded internationally, with representative offices in Singapore, Thailand and Malaysia. With 18,000 staff, more than 475 branches nationwide and 40% market share of both retail and commercial banking, KBZ is leading the way for Myanmar’s rapidly developing financial services industry through an approach that understands the unique context of the country’s economy as it transitions towards a digital future. As Myanmar’s economy expands and opens up, KBZ sees an exciting opportunity to further work with international investors, providing a critical bridge to Myanmar’s fast-growing cities, entrepreneurs and local communities.